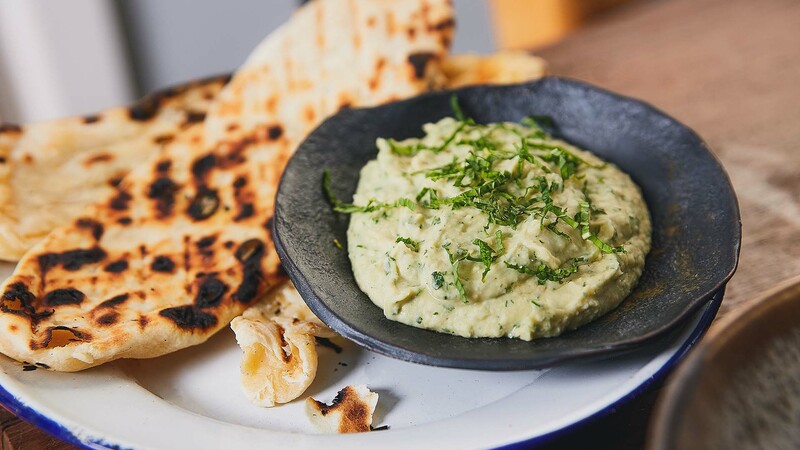 An easy and delicious dip, perfect served with Indian flatbread. 2. Mince the cannellini beans in the food processor or by hand with the mortar and pestle until they are soft. Be sure to retain some texture. 3. Combine the minced cannellini beans with the garlic, lemon juice, olive oil and parsley in the bowl and mix well. 5. Place in serving bowls and sprinkle with chopped mint.